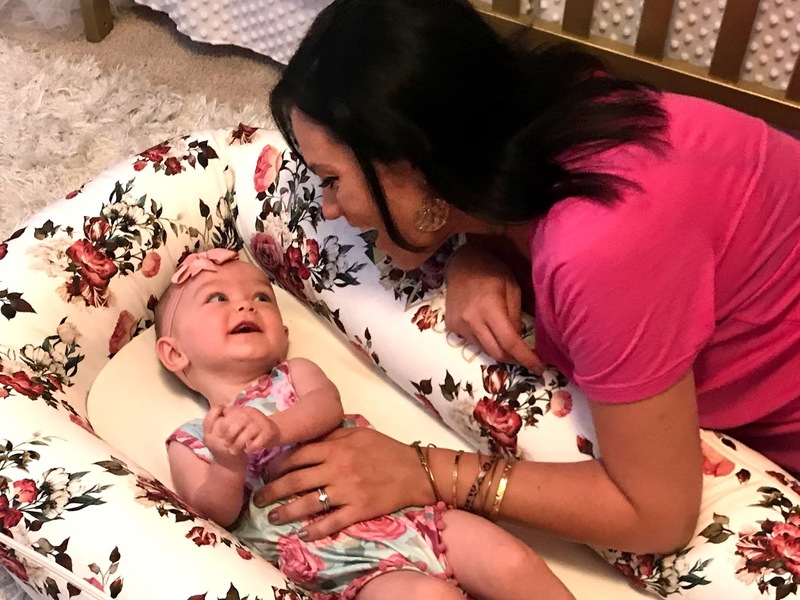 You may have heard my love for DockATot mentioned in my Instagram posts, or in my monthly updates for Bella, so I am very excited to share today's post with you. 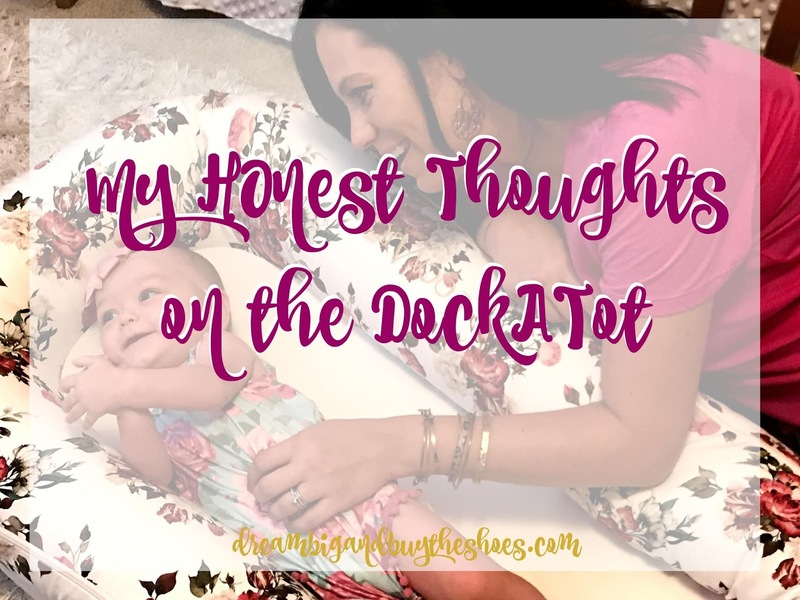 I received a Grand DockATot compliments of their company, all opinions are my own and honestly shared. Thank you for supporting the brands featured on Dream Big and Buy the Shoes and thank you DockATot for this amazing gift. You can save $10 on a DockATot by using my referral link! We first heard about the DockATot from other parents, and I immediately read up on what sounded like a miracle product. I decided that it was definitely going on our baby registry and it was our most desired gift. The day Bella came home from the hospital, we began using it right away. The DockATot is a multi-functional lounger, co-sleeper and playtime lounger. 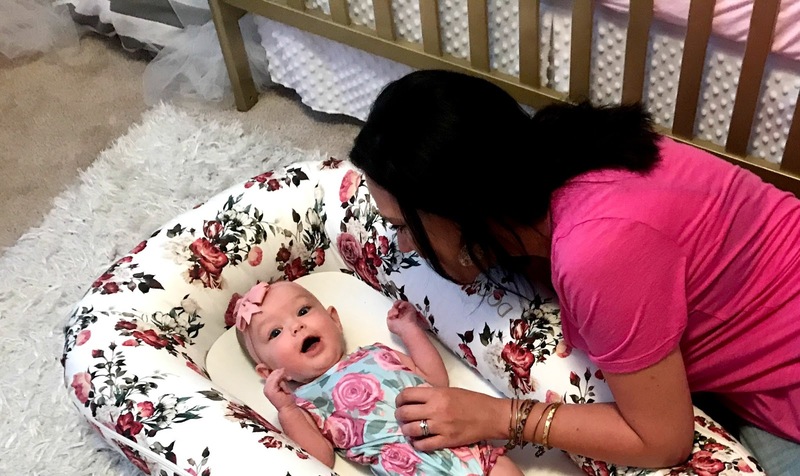 It was very similar to her set up insider her NICU incubator, so the DockATot was definitely something she was comfortable in since it was so familiar to her. 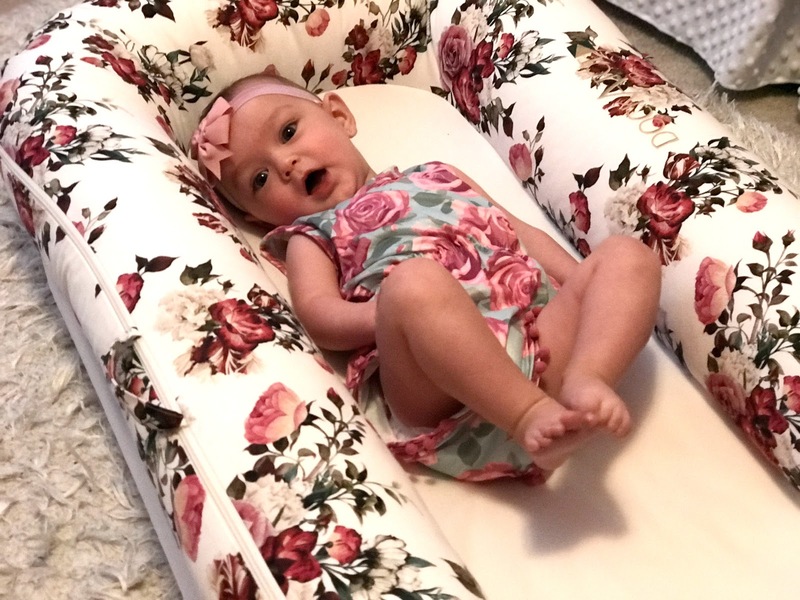 There are two sizes of a DockATot - the Deluxe for 0-8 months (which we used and loved EVERY single day) and the Grand which we just transitioned to for babies 9-36 months. The Grand is perfect for toddler bed transitions too. 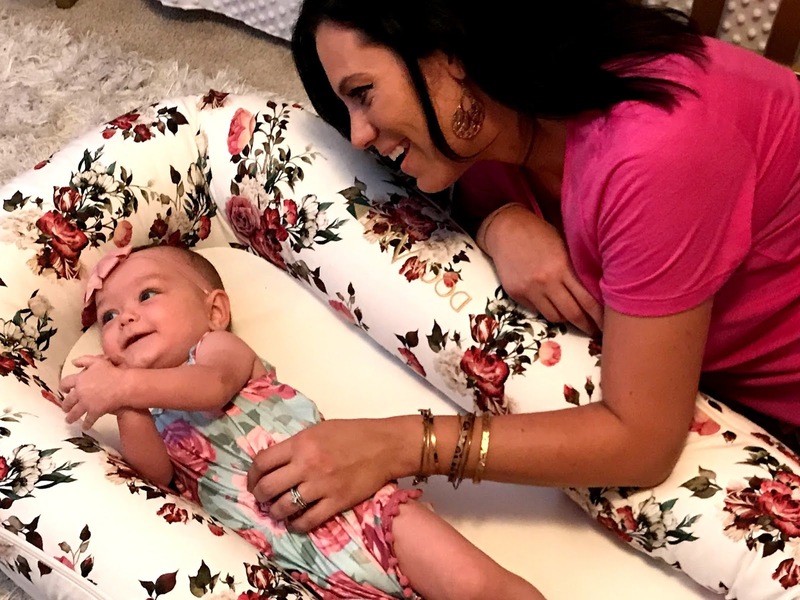 I love that there is a size that your baby can grow with- we weren't ready to let go of the DockATot! It gives Chuck and I peace of mind that Bella is safe and comfortable when she's napping and sleeping. 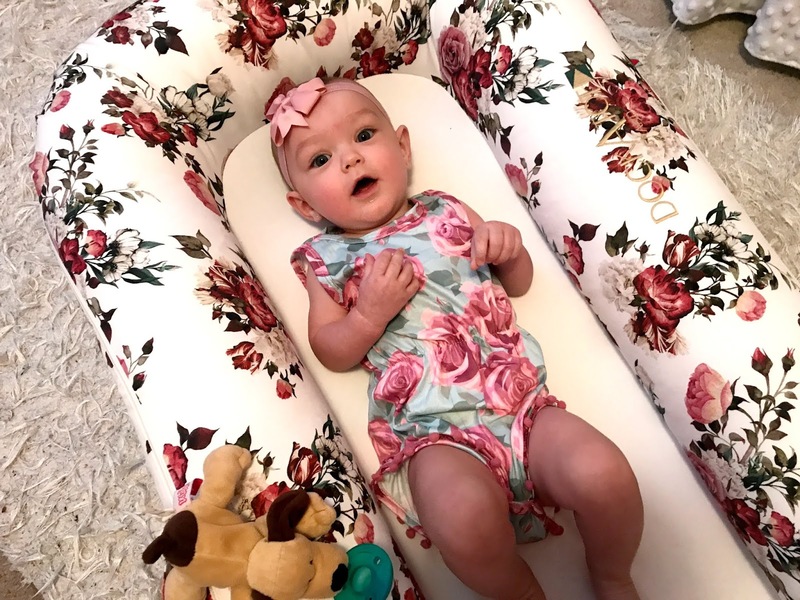 The DockATot was on our registry way before Bella arrived because I had heard such wonderful things about it, and they all proved to be true. 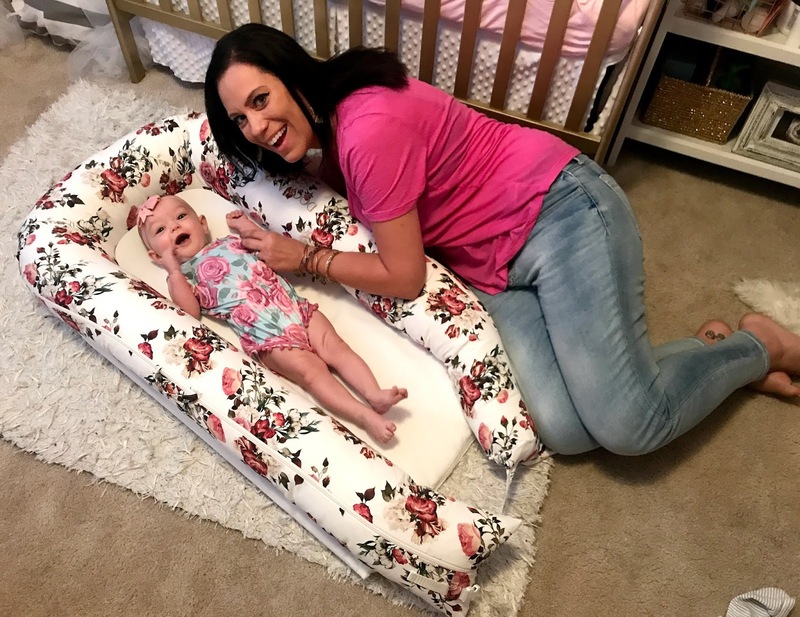 We are able to put the DockATot on the floor while we shower, cook, or do other things and let Bella chill while we prep dinner or get ready. It's such a nice soft place for her. 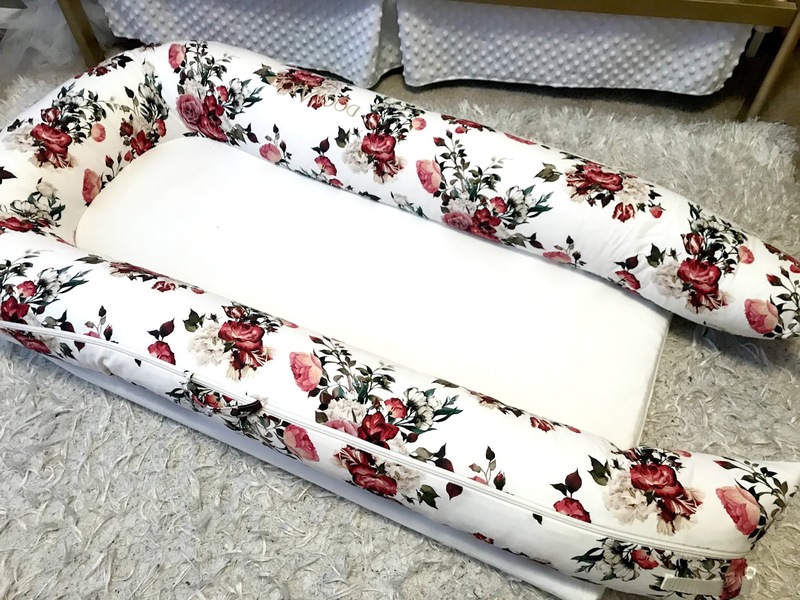 You can also use it as a changing station or for tummy time so you definitely get a variety of uses for one item which is a bonus for parents- less things to lug around! One of our favorite thing about the DockATot is the ease of transport. It is about 3 pounds and very lightweight. You can literally use it anywhere, and it's wonderful because your baby then always has a familiar place to sleep no matter where you are. We took it on vacation with us, and stored it inside the plastic storing case so it was nicely protected on the airplane. The DockATot comes with us everywhere and Bella absolutely loves it. As parents, we love it for it's breathability which it is tested for and that it is all natural, 100% cotton. It is the ideal micro-climate for babies and tots and is handmade in Europe. The DockATot is high-quality, made in Europe and was designed in Sweden. It is OEKO- TEX certified- which means it is environmentally friendly and socially responsible during production in the facilities where it's made in the textile industry. We say it all the time- take any other baby item away, but don't take our DockATot! We literally use it alllll the time and are so thankful for such a great product that is safe for baby. Do you know anyone who has a DockATot? What's your favorite thing about it if you have one? 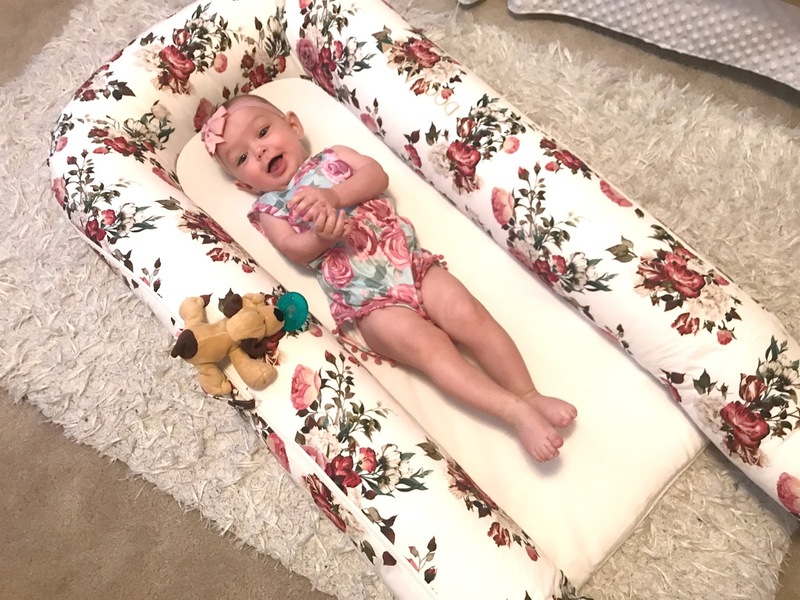 Thank you again to DockATot for our Grand dock for Bella- we love it!